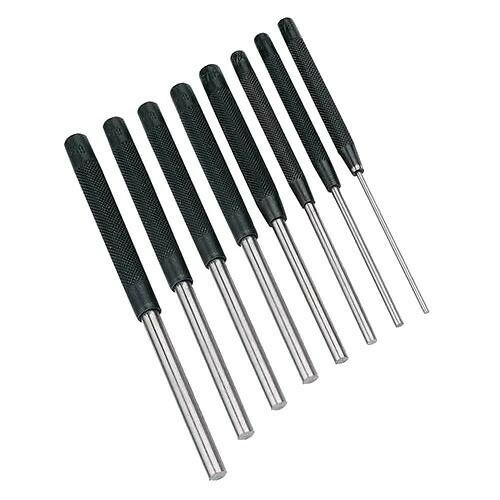 Brand New Pin Punch Set (8 Pieces) Hardened and tempered steel. Knurled handles for control and grip. Enables removal of rivets and pins. Includes 2.4, 3.2, 4, 4.8, 5.6, 6.4, 7.9 and 9.5mm punches.